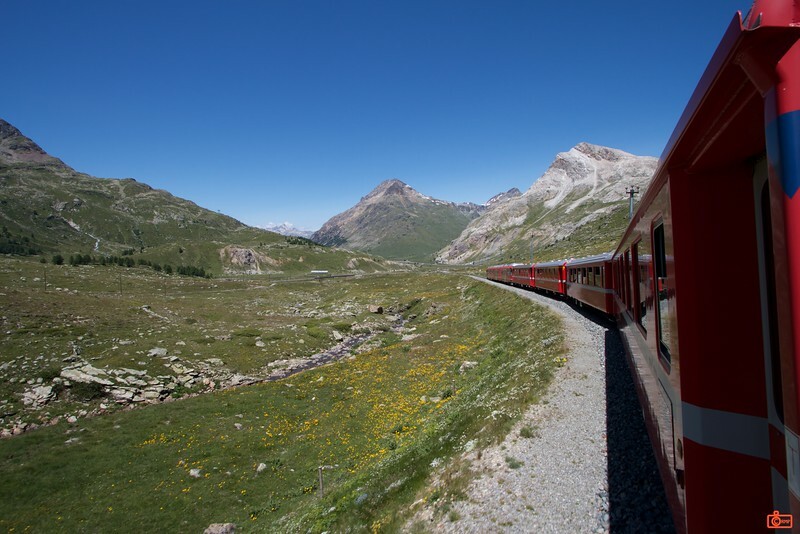 The Bernina Express is one of the only World Heritage Sites that is a railway. It climbs the Bernina Pass at 2,253 metres. The last 2 cars of the train are open for better sightseeing.